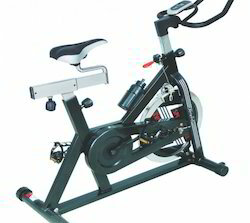 We are offering a wide range of exercise cycles that are designed and developed by top grade materials in accordance with latest machinery and latest technologies. These are known for their robust construction, low maintenance and high efficiency. We offer these cycle at most competitive prices, thus meeting the varied needs of our clients. Our range hydra program exercise bike, commercial use exercise bike, exercise bike with contact pulse measurement system and others. 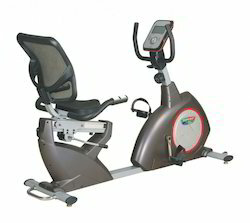 Backed by a rich industry experience, we have emerged as a leading importer and supplier of a wide range of Recumbent Bike. Even the finer particles are removed by physical, chemical and electrostatic adhesion to the filter walls as the metal flows through the filter medium. 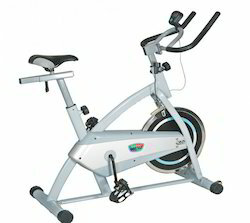 Our company offers Commercial Exercise Bikes that are offered in exclusive designs for light commercial use. Their user-friendliness and minimum maintenance features have witnessed large demand among people. These are offered in stainless steel frame to avoid rust, a splash bar over front wheel, dual SPD-trekking pedals and reinforced structure.